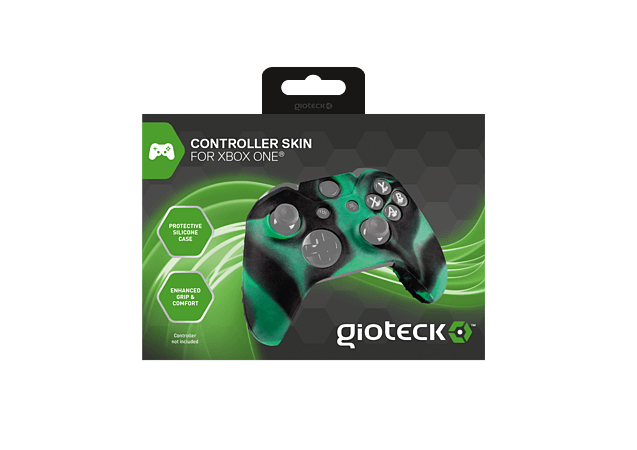 Personalise your controller and improve your gaming with the Gioteck Pro silicone skin for Xbox One. Personalise your controller and improve your gaming with the Gioteck Pro silicone skin for Xbox One. The skin perfectly fits the PS4 controller keeping all the buttons, triggers and connection ports accessible. Our premium quality soft silicone material provides a more comfortable experience and can allow you to play for longer.